If you are in Minneapolis on November 10, check out "The GIRL with the DNR TATTOO" by Nneka Sederstrom, the head of ethics at Children's Hospitals and Clinics of MN. �What truly is a patient's right to self-determine? �Can an advance directive take any form? 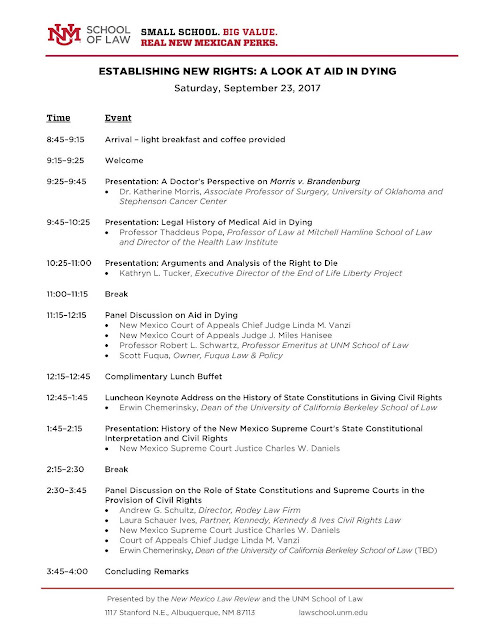 Here is the schedule for the University of New Mexico aid in dying conference next month. This week, the Supreme Court of India ruled that privacy is a fundamental right. 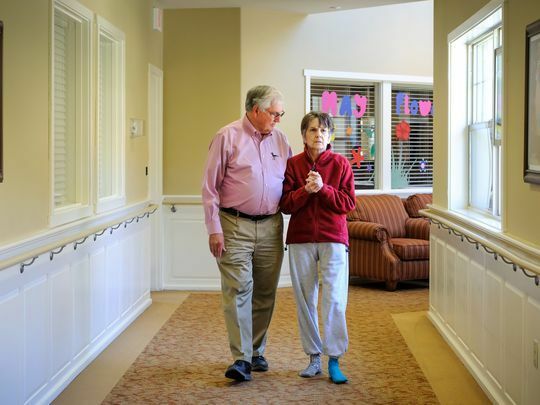 While not framed as a right to die case, at least one concurring justice observed: "An individual�s rights to refuse life prolonging medical treatment or terminate his life is another freedom which fall within the zone of the right of privacy." Numerous studies for decades have demonstrated that surrogates fail to make the same healthcare decisions that patients would have made for themselves if they still had capacity. 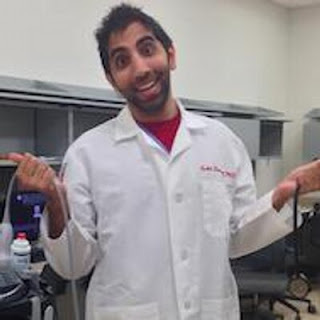 But a new study in J Gen Intern Med. shows that surrogates are not even trying to perform their job consistent with its defined standards. In "How Surrogates Decide: A Secondary Data Analysis of Decision-Making Principles Used by the Surrogates of Hospitalized Older Adults" the authors explore the principles that surrogates consider most important when making decisions for older hospitalized patients. While surrogates considered many factors, they focused more often on patient well-being than on patient preferences, in contravention of our current ethical framework. 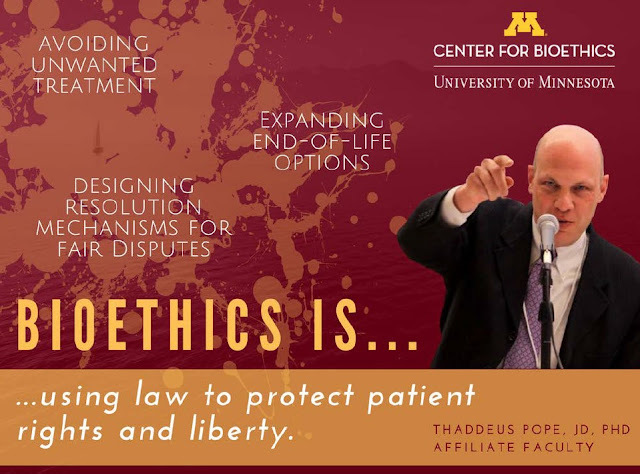 What is Bioethics for Thaddeus Pope? 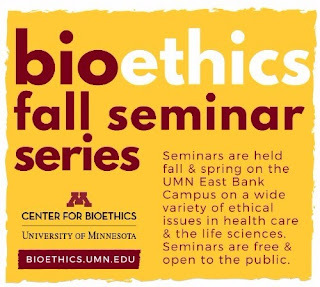 The University of Minnesota did these nice summary slides of all the bioethics faculty and affiliate faculty for use at the State Fair this week. Stop Hospital Euthanasia is a new volunteer organization led by people who had a loved one euthanized against their loved one's expressed written or verbally stated direction. Its primary goal is to prevent the euthanasia of patients against their will or their parents' will in the case of minor children, particularly in an inpatient hospital situation. If you have found this blog useful, please nominate it for The Expert Institute's Best Legal Blog Contest. From now until September 15th, legal blog fans can nominate their favorite blogs and bloggers for inclusion in the voting round of the competition by completing the form on the bottom of the BLBC page. 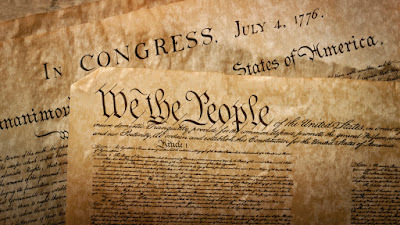 As with previous years, the nomination process is competitive, meaning the more nominations a blog receives, the more likely it is to be included in the public voting stage of the contest. The nomination period closes on September 15th at 12:00 am (EDT), after which the nominations will be tallied and the contestants announced. Final Exit Network launched a blog, yesterday. It is called The Good Death Society Blog. 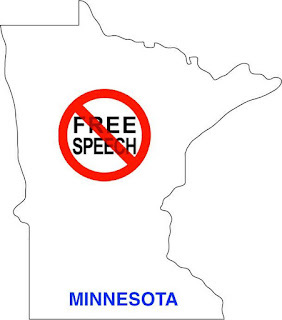 The first article is a hefty 1300-word essay about the free speech issue in Minnesota as it relates to the right-to-die and death with dignity. 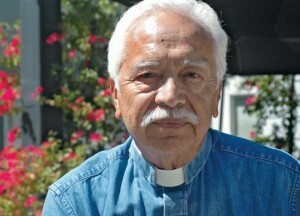 Drawing on his experience advocating for California�s End-of-Life Option Act, Rev. Castuera will describe the morality of medical aid in dying in the context of his faith tradition, the role of tolerance for diverse spiritual perspectives, and the personal nature of end-of-life decisions. There is no cost to attend, but seating is limited. 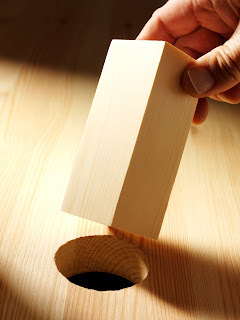 Can you leave enforceable instructions for VSED in an advance directive? JoNel Aleccia (Kaiser Health News) addresses this question in a new article printed in USA Today and other newspapers across the country this weekend. Nora Harris signed an advance directive after her Alzheimer's diagnosis to prevent her life from being prolonged when her disease got worse. But she�s being kept alive with assisted eating and drinking against her stated wishes. As I noted in the article, many states authorize either advance instructions for VSED or an appointed healthcare agent's direction for VSED. But the advance directive must provide such authorization with extraordinary clarity. Unfortunately, Harris' advance directive (like Margot Bentley's advance directive in a similar case) was not sufficiently clear that VSED was desired. I have a few articles on VSED forthcoming in two medical journals. For my past legal analyses, see here, here, and here. 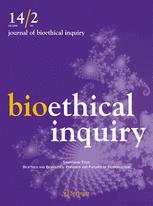 My analysis of Nevada's recent and unique amendment to the Uniform Determination of Death Act (UDDA) is now online first at the Journal of Bioethical Inquiry: "New Legal Guidelines for Determination of Brain Death." My comprehensive review of all legal challenges to the legal status of brain death is forthcoming in the Journal of Legal Medicine. The Texas Legislature has passed and the Governor has signed S.B.11. This effectively bans non-consensual DNR orders. Look for my analysis of this legislation and its relationship to TADA at ICEL2, next month in Halifax. 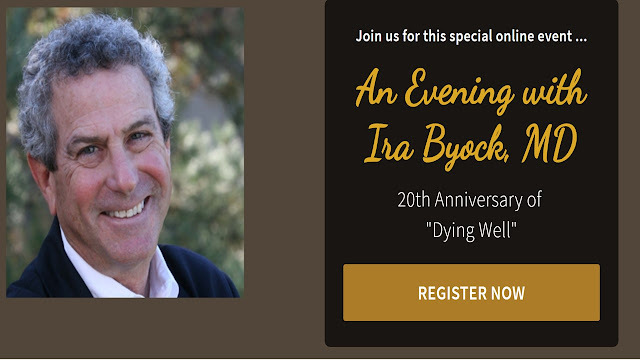 An Evening with Ira Byock - 20th Anniversary of "Dying Well"
Register at End of Life University for An Evening with Ira Byock - 20th Anniversary of "Dying Well" on Monday, August 21, 2017. Quinlan at 40: Exploring the Right to Die in the U.S. 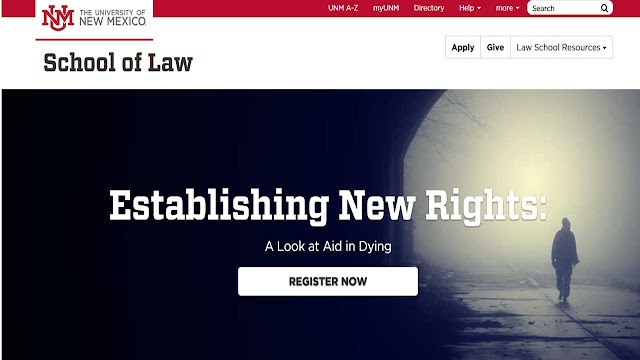 In November 2016, the Georgia State University College of Law hosted a symposium: "Quinlan at 40: Exploring the Right to Die in the U.S."
Four published articles from this symposium are now available from the law review's website. 2016-2017 Georgia State University Law Review Symposium: Exploring the Right To Die In The U.S. The Georgia State University Law Review has posted a PDF of my new 98-page article, "Unbefriended and Unrepresented: Better Medical Decision Making For Incapacitated Patients Without Healthcare Surrogates." The purpose of this Article is to help improve the quality of healthcare decision making for the unbefriended. I hope that this comprehensive and systematic explanation of both the problem and the available solutions will empower both public and clinical policymakers to develop more informed and more circumspect policies and procedures. 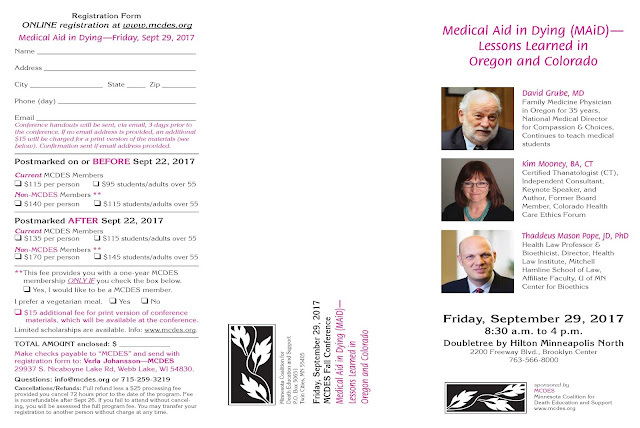 Join me on Friday, September 29 for "Minnesota Medical Aid in Dying (MAiD)� Lessons Learned in Oregon and Colorado." 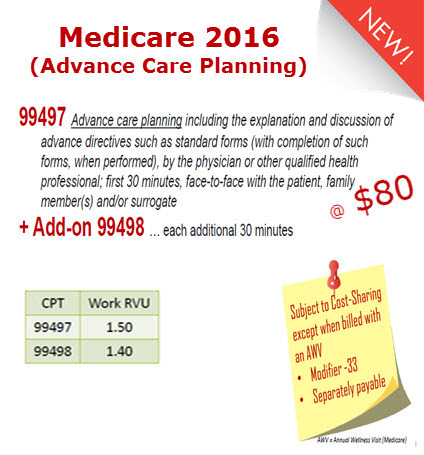 Data from the Centers for Medicare and Medicaid Services shows that more than 570,000 beneficiaries used advance care planning appointments in 2016, the first year such services were billable. Earlier CMS data showed that 220,000 people had participated in the first six-months of 2016. The rate of claims accelerated in the second half of the year, likely due to providers learning more about the new billing procedures. 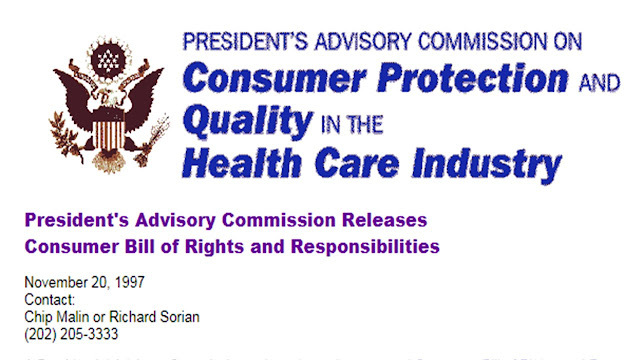 20 years ago, the Presidential Advisory Commission on Consumer Protection and Quality in the Health Care Industry released its report Consumer Bill of Rights and Responsibilities. A key message in the report is to make healthcare information understandable. Unfortunately, we have not made much progress. A few weeks ago, Emory posted this video of Gabe Bosslet discussing "Potentially Inappropriate Care in the ICU." This is a great overview of the 2015 Five Society Policy Statement. I am delighted to participate in this year's Health Law Policy, Biotechnology, and Bioethics Workshop at Harvard Law School. The workshop provides a forum for discussion of new scholarship in these fields from the world's leading experts. Harvard graduate students may register to take the workshop for course credit, but it is also open to the public. This year, the workshop is led by Professor I. Glenn Cohen, and meets on selected Monday evenings from 5-7pm on the Harvard Law School campus. The invited presenter generally speaks for about 30 minutes, after which the door is opened for Q&A. It is recommended to read the papers in advance. I have recently highlighted (here and here and here) the growing success of legal claims when clinicians administer unwanted life-sustaining treatment. One recent case from British Columbia goes the other way. Brenlee Kemp sued Vancouver General Hospital for battery on her mother. The trial court rejected the hospital's claim to dismiss the claim. The court ruled the battery claim should go to trial, because there was conflicting evidence regarding whether consent was given. The Court of Appeal reversed. The court explained that the existence of express consent is irrelevant, because the clinicians had implied consent. First, Brenlee made desperate pleased to "help" her mother. Second, she was present during the resuscitation and made on objections to the resuscitation efforts taking place in close proximity to her. Variability in the Initiation of Resuscitation Attempts by Emergency Medical Services Personnel during out-of-hospital Cardiac Arrest. Variability in ICU treatment has been well documented. In contrast, I had understood that EMS resuscitated and transported everyone who was not obviously dead. But apparently there is variability even there. A new article in Resuscitation concludes: "The proportion of patients with OHCA who receive resuscitation attempts is variable across EMS agencies and is associated with EMS response interval, ALS unit availability and geographic region. 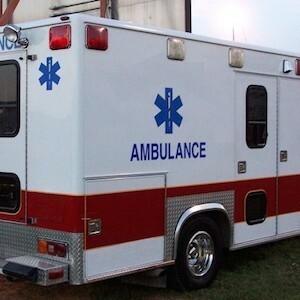 On average, survival was higher among EMS agencies more likely to initiate resuscitation." Jahi McMath continues to litigate medical malpractice claims against the Oakland healthcare providers who treated her in 2013. In July, the medical defendants argued that Jahi's claims must fail, because there is no valid evidence that she is now alive. Consequently, she has no standing to assert personal injury claims. The judge has not yet ruled on the pending motions for summary adjudication. But it looks like Jahi has submitted enough evidence that the life/death question should proceed to trial. At trial, the jury might conclude that Jahi is still dead, because they find Jahi's evidence to be less credible than the defendants' evidence. The jury might also conclude that the defendants did not commit malpractice. If the jury reaches either conclusion, then Jahi's claims will fail. If Jahi wins her lawsuit, that means there is something wrong with the way we measure brain death. It is supposed to be "irreversible." In contemporary Western culture death and dying are generally regarded as something to fight against, deny, hide from public view and above all fear. But what if we were to look at them differently? Despite understandable fear and denial, we may have very good reasons to want to learn more about death and dying. Thinking about and experiencing mortality�our own and that of others�can make us our lives richer, deeper and more valuable to us. Mortality in truth is the intensification of life. This September, check out the first Melbourne edition of the Festival of Death and Dying. There will be over 20 participatory workshops, performances, talks and ceremonies on different aspects of death and dying over two days. In addition to talks and discussions, you will have experiences, which do justice to the full spectrum of what is at stake in mortality. The podcast series Death Hangout recently featured Phyllis Shacter on VSED. Phyllis is the author of the book, Choosing to Die. The book is a personal story about her journey with her late husband Alan and his choice to die by Voluntarily Stopping Eating & Drinking (VSED). The reason Alan chose to do this was he had been diagnosed with Alzheimer�s and he wanted to end his life as conscious and organically as possible and to reduce his suffering. The Death Hangout hosts talk with Phyllis about the process, how it impacted Alan and her, and how it has changed how she lives now. Kelly v Methodist Hospital challenges the constitutionality of the Texas Advance Directives Act. The case is getting ready for trial in Harris County District Court. I will make just two observations about the brief. 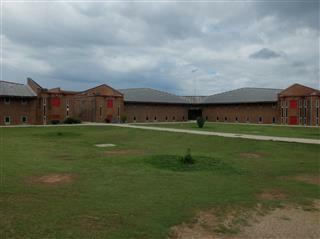 Marquette F. Cummings, Jr. was an inmate at St. Clair Correctional Facility in Springville, Alabama. He was seriously stabbed in the eye and was airlifted to University of Alabama at Birmingham Hospital. His family filed a federal lawsuit based on the following conduct at the hospital. Dr. Sherry Melton, a medical supervisor at UAB Hospital, changed Cummings's code status to Do Not Resuscitate without authorization from Gaines or any other family member and without notifying Gaines and Cummings's family of the decision. A recent decision from Alberta highlights some differences between Alberta and Ontario regarding the need for clinicians to obtain consent before withholding or withdrawing life-sustaining treatment. 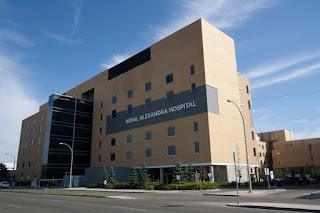 Anita Tran filed a complaint with the Alberta medical board regarding the treatment of her 96-year-old mother at Royal Alexandra Hospital. Clinicians had determined that the patient: (1) was not a dialysis candidate, (2) was not a candidate for the ICU, and (3) should have a DNR order. Tran alleges these actions were taken without permission. Indeed, it seems clear that the DNR order was written NOT on the basis of consent but instead on the basis it would not be medically effective. Tran's complaint was dismissed. That dismissal was affirmed by the Court of Queen's Bench. It was apparently sufficient that clinicians "advised" Tran of the DNR. This sounds like the rule in the UK. 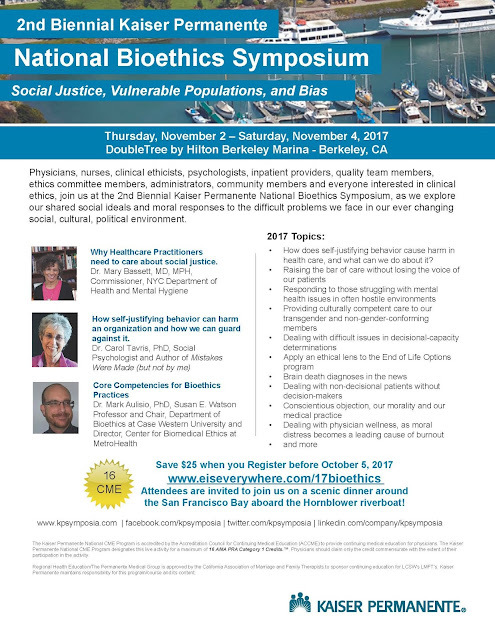 This November join Kaiser Permanente for its 2nd Biennial National Bioethics Symposium - Social Justice, Vulnerable Populations, and Bias. The German Society for Internal Medicine (DGIM) has released recommendations for intensive care medicine. Among their positive recommendation is "early evaluation of patient consent." How Often Is End-of-Life Care in the United States Inconsistent with Patients' Goals of Care? A new article in the Journal of Palliative Medicine determined it is 13% of the time. Based on the annual number of US decedents, that means perhaps 325,000 patients get end-of-life care inconsistent with their goals of care. Most of that is unwanted over-treatment. 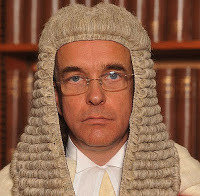 At the end of June, Mr. Justice Baker of the High Court of Justice Family Division cited the Gard case in making a similar ruling. HK was a 3-month old baby with catastrophic injuries. The court balanced the factors weighing in favor of treatment:(a) the parents' wishes, and (b) the presumption in favor of life. Again that, the court weighed the fact that (c) treatment offered no prospect of benefit, and (d) treatment probably imposed suffering. 1. There be no neurosurgery intervention. 2. That there be no CPR. 3. 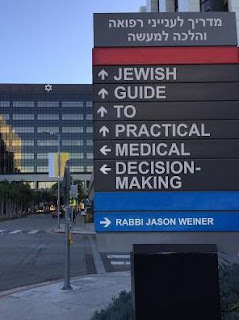 That there be no escalation of treatment.